Our understanding of the reptile world is in a constant state of flux as advances in DNA techniques continue. 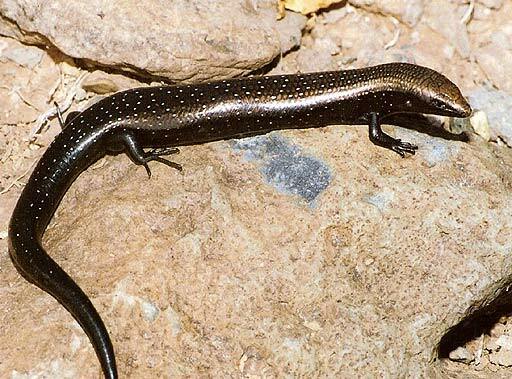 The latest is the promotion of a species of skink on La Gomera to full species. The joint study by researchers from France, UK and Spain is published in the latest issue of Molecular Phylogenetics and Evolution. They have baptised the new reptile Chalcides coeruleopunctatus, Lisa de Salvador in Spanish (Salvador’s or the Gomeran Skink in English), in honour of Alfredo Salvador, researcher at the Museo Nacional de Ciencias Naturales de Madrid, who described it for the first time in 1975 El Mundo. An interview with Mario GarcÃ­a ParÃ­s of the Museo Nacional de Ciencias Naturales in todayâ€™s (El Pais) . I paraphrase. â€œThere are some 60,000 species of animals in Spain, of which some 40,000 are insects. And we are incapable of knowing how many are catalogued. A species is a group of animals which are genetically compatible. There are worms which look the same but are different species and frogs which are as similar as an egg to chestnut tree, but which can breed. It is impossible to know how many species are still to be recorded. One knows when most of the biological wealth of a country has been recorded when the rate of discovery slows down. This does not seem to be likely in the short term in Spain. Weâ€™ve been discovering some 150 new species a year since the late 1970s. And this rate has continued unabated. Since 1978, 3,627 new species have been discovered in the Peninsula, with a further 1,417 in the Canaries at an almost constant rate of 150 a year. 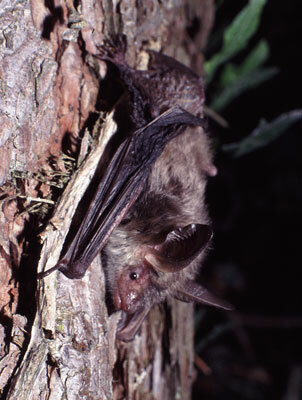 “In the distribution maps of species there are dark areas around Madrid, Barcelona and Las Hurdes, in Extremadura. The county of Las Hurdes appears because several people from the museum spend their holidays there”. There are even big gaps in knowledge with groups such as amphibians despite the legions of amateur naturalists out and about recording them. “A year ago we discovered a new midwife toad which only lives in the fountains of villages. We called it Alytes obstetricans pertynas. â€œPertinaciousâ€ because while most amphibians are becoming extinct, this one is resisting in human settlements”.